For those who start on this dreaming adventure, you may not remember your dreams often. The first step in interpreting your dreams is, of course, to recall them! Fortunately, the best way to recall dreams is to keep a dream journal that this website can help you with. Feel relaxed and ready for sleep. You can think about a problem or a problem in which you are looking for a solution – as long as it does not stress you and stops you! But often our brains will work on our problems while we sleep, and this could be a great way to use your dreams. Go to bed early so you can sleep between seven and nine hours. Our body goes into dream mode when we enter REM (Rapid Eye Movement) sleep. Your body goes through a period of REM Sleep every 90 minutes and every time you enter this deep sleep phase, you go deeper. The more REM cycles you can get, the deeper your sleep gets and the more alive your dreams become. If you do not get enough sleep, your body will be less in REM and you will have fewer dreams and dreams that are harder to remember. Another note to prepare for bedtime: Beware of what you consume. Stay away from drugs or medications at bedtime, including, but not limited to, alcohol, caffeine, sleeping pills, and other medicines that affect your memory or sleep. If you take these, they will change your state of mind in your dreams, and you may find it harder to remember your dreams. Even light snacks can affect your body’s systems and affect your sleep, especially if they are rich in sugar. It is recommended to stop for at least two to three hours before bedtime. The best way to wake up in the morning and remember your dreams is to have a peaceful and gentle alarm clock. You do not want an alarm dock that wakes you in a buzzing sound. It is also not outstanding to have to run across the room. If you wake up slowly and lie in bed, you have a better chance of keeping the dream state you were in. You can set your alarm clock to a soft tone to wake you up or have a roommate or partner who shakes you gently. Have a sign on your alarm clock or near your bed that asks you, “What did you dream?” (Or keep this note!) If you have this sign nearby, think about it first. If you can, lie down (without falling asleep) and keep your eyes closed, imagine what you remember from your dream. Try to remember as much as you can. Sometimes it’s easy to think that we can just get up and brush our teeth and start the coffee pot, and then we’ll focus on our dreams and write them down. But even if only a few minutes pass, you switch back to real mode and your dreams are quickly lost. So you do your best to get used to spending a few minutes in bed in the morning and remembering your dreams. Writing down your dream is the best way to save it for future reference. In fact, only your cream with this label will remember better and better with time. Some people who have dream diaries find themselves one morning in a trance-like state between the dreaming and the waking world, which they do not remember writing down their dreams. In your journal, you will be amazed at what it feels like to write and read this story that seems so strange. But often, once you have read your dream diary, you will again see the images of your dream in your head, and you may remember a few more details that you have forgotten. 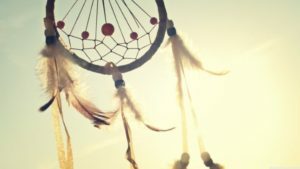 This site will guide you through dream symbols and meanings with our dream dictionary, all you need to do is remember and observe (on your dreams). These are just a few tips to better remember your dreams and to find the right environment for livelier dreams. Take a closer look at the sleep types.